Paul and Steve have to evict a vulnerable pair of hoarders and a young woman with a child for rent arrears. A writ to seize a taxi has been made out for the wrong man. 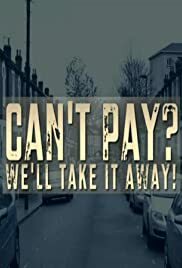 When County Court bailiff Steve Wood has to repossess a classic corner shop, he finds that the unpaid rent is not the only problem.